If your horse’s immune system isn’t top of mind, it should be. 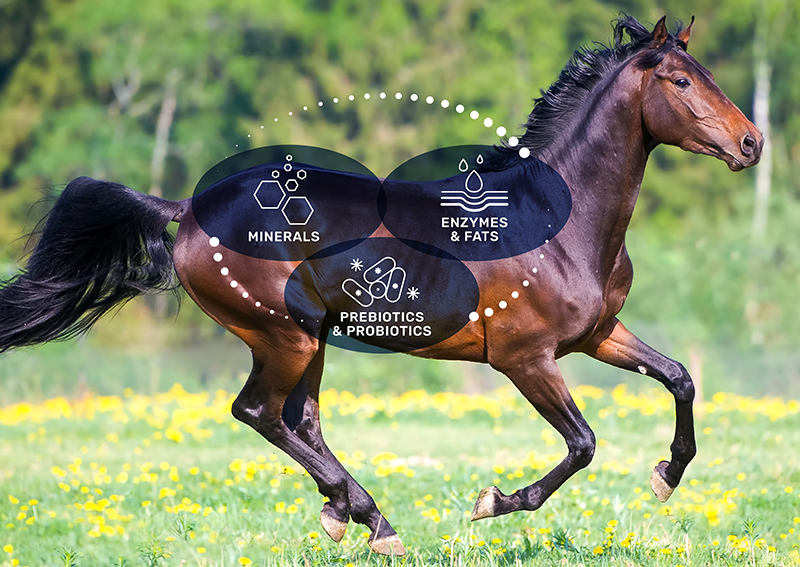 Digestive health and gut function play an essential role in horse health. 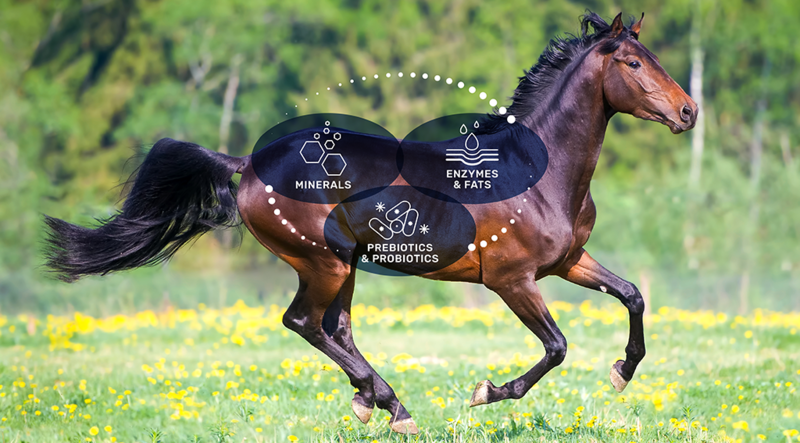 That’s why EquiMix — found only in Triple Crown products — is at the core of all our horse feed formulas. With its unique blend of digestive aides and live prebiotics and probiotics, EquiMix helps support immunity and promote gut health — for nutrition that goes beyond expectations. EquiMix provides key nutrients for your horse. Microbial strains that help maintain a healthy gut and promote the growth of beneficial microorganisms in the intestine. Six organic minerals and micro-minerals help improve structural soundness, bioavailability, palatability, and protein and energy utilization. Digestive enzymes and lecithin help maximize digestion and absorption of fats, which increases available calories to optimize performance. Read about the nutritional benefits of EquiMix for your horse.